Billboard Campaign Contributors - 80 Feet Is Enough! Thanks to many kind donations, 80 Feet Is Enough! 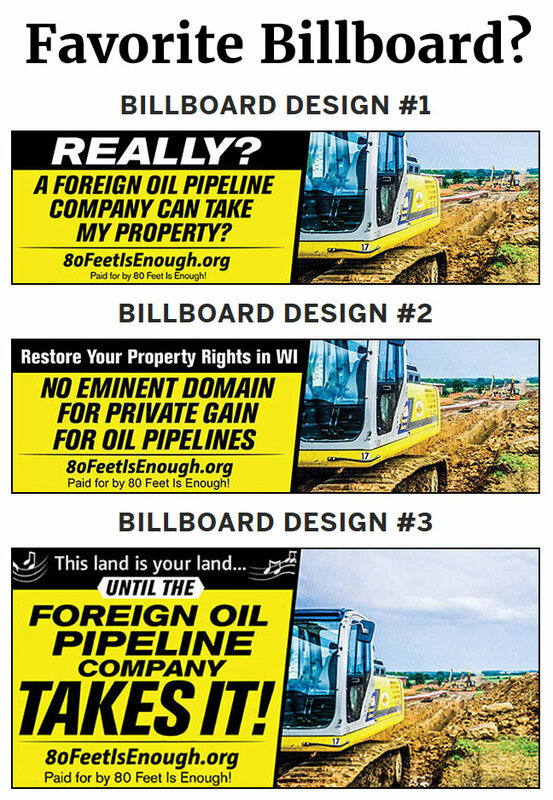 has secured enough funding for strategic billboard placement throughout Wisconsin. As a result of the campaign, we also heightened awareness across the USA and gained new important partners that will help our cause.